If only we could see them under water! By December, an array of diving birds that nested at far northern latitudes are wintering on temperate waters across the continent. 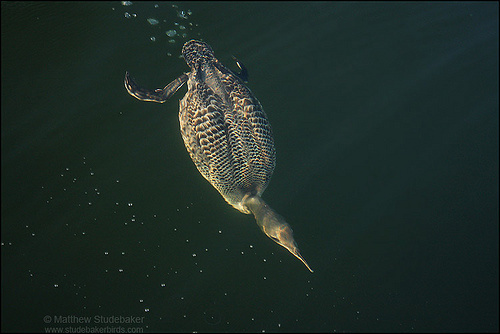 If we could watch them under water, we'd see this Common Loon racing like a torpedo. A goldeneye dives under water and swims about 10 feet from the surface, while scoters get down to 30 feet in search of clams and mussels. 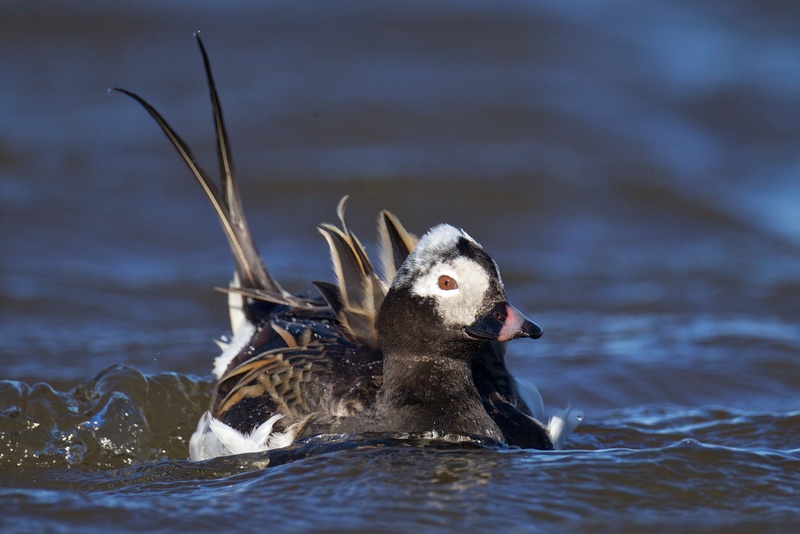 But if one bird stands out as the most beautiful diver, it has to be the Long-tailed Duck. Propelling itself beneath the surface with its wings, it seems to fly through the water, sometimes to depths of more than 60 feet! 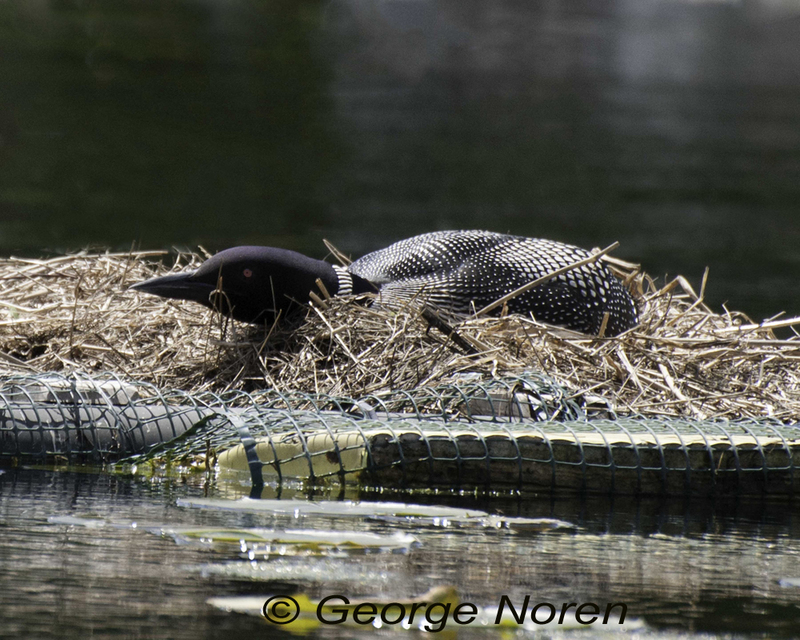 If we could watch them under water, we'd see Common Loons racing like torpedoes, propelled by large feet set far to the rear of their bodies. 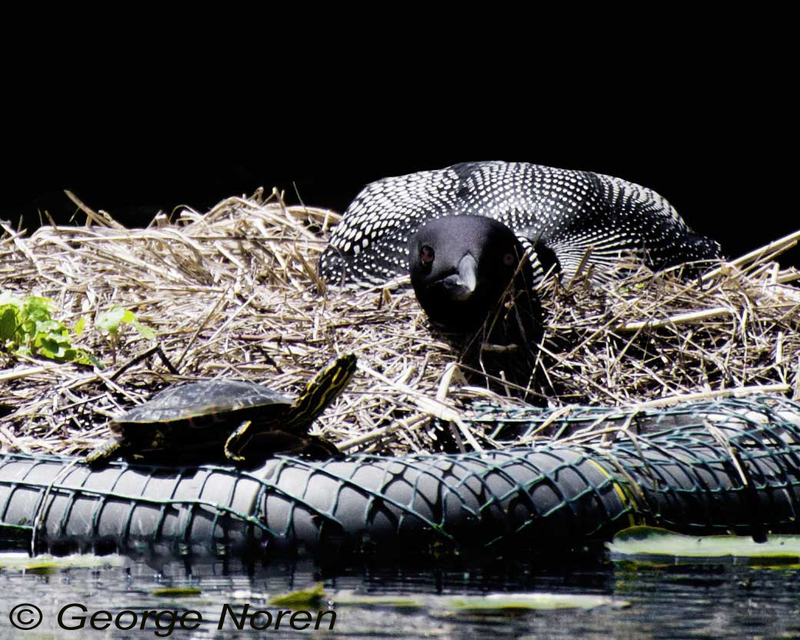 Loons feed mostly within 20 feet of the surface, but can reach 200 feet and stay under for up to three minutes. Most diving ducks, though, are down and up again in less than a minute. Searching for food, they swim with their feet, sometimes using their canted wings to steer. A goldeneye dives under and swims about 10 feet from the surface, while scoters get down to 30 feet in search of clams and mussels. Today's BirdNote is brought to you by the Bobolink Foundation. Bird sounds provided by The Macaulay Library of Natural Sounds at the Cornell Lab of Ornithology, Ithaca, New York. 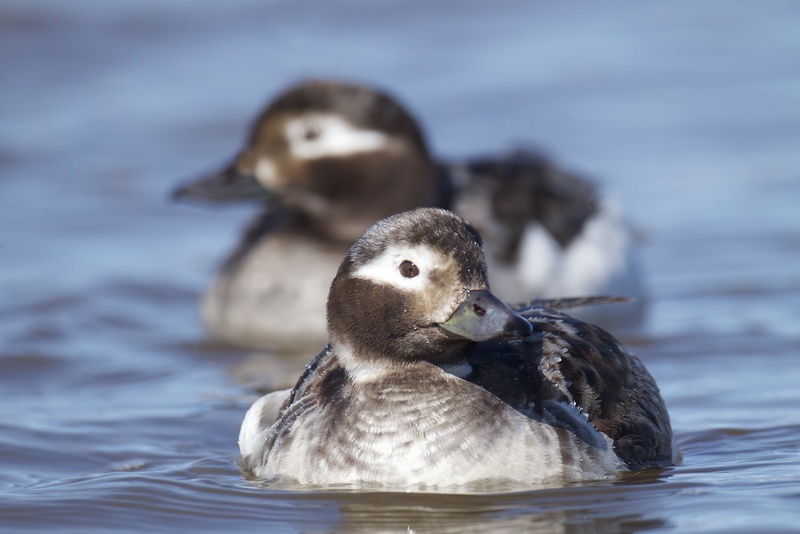 Long-tailed Duck  recorded by Gerrit Vyn; Common Loon  recorded by P P Kellogg.